We're committed to offering you a huge selection of great quality, stylish home furnishing at the lowest possible price. We back this commitment with our unmatched low price guarantee. 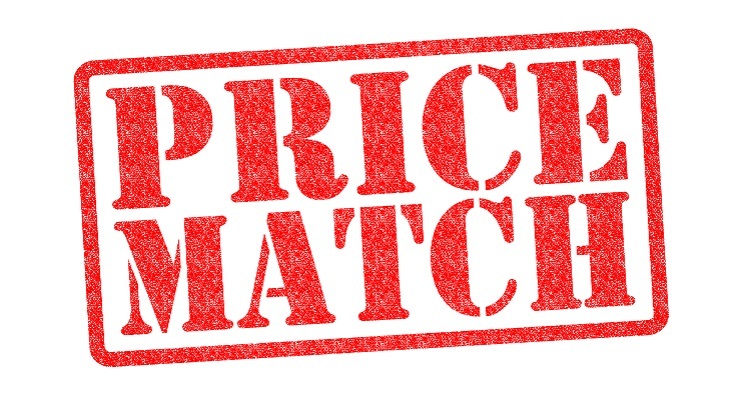 If you find a lower advertised price on the same brand and model, we will match the price. That way, you can be confident that you're saving time and saving money. Simply bring in the ad of the local retail competitor while the lower price is in effect and receive your price match. Please be sure to read the following policy information regarding our Low Price Guarantee. Valid on advertised items from local retail competitors prior to purchase for new furniture only. Price matching valid only on exact models and manufacturers. OABF Furniture reserves the right to verify the manufacturer and model of other local retailers' advertised items. Customer must provide original print ad when making purchase. Copies will not be accepted. If ad is not dated, OABF reserves the right to verify current price. Competitor online pricing subject to verification by OABF. Ad must originate from a competing retailer with physical location(s) in Los Angeles, Orange, Riverside, San Bernardino, Ventura, San Diego, Maricopa, San Mateo, Alameda, and Clark County. OABF price matching is offered in appointment transactions only for print ads. Pricing matching is not available for phone or internet orders, unless proof can be sent electronically and verified by OABF. We reserve the right to decline the price match if OABF cannot verify the price of an item. Our local delivery terms and conditions apply.